Lot of 100 (one-hundred) 60ml PET Transparent Chubby Gorilla Unicorn Bottles with dropper tip and white child resistant cap. 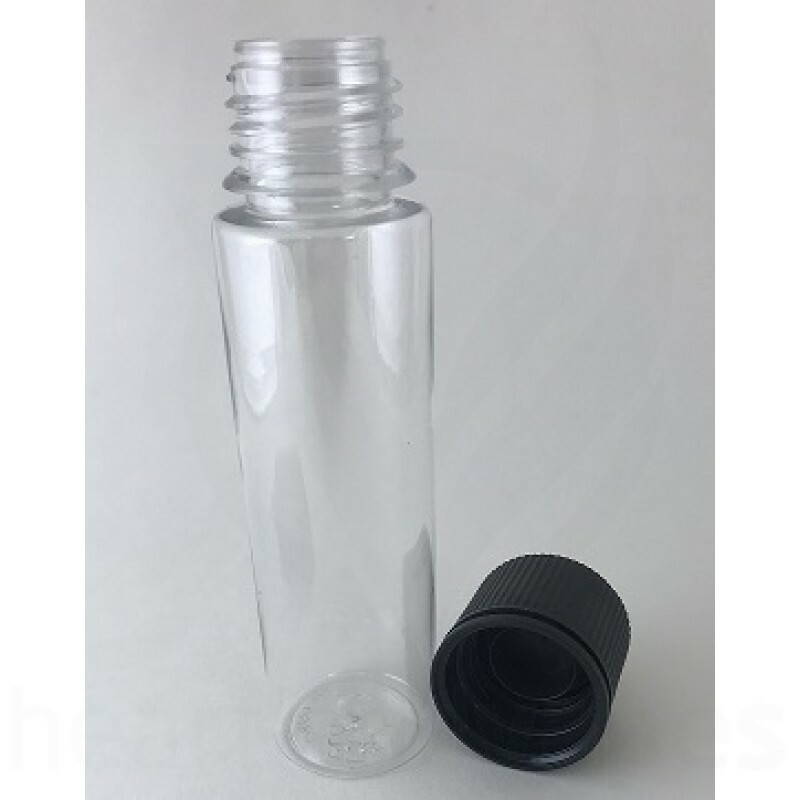 V3 is the newest version -- the main difference you will see is that the tip comes resting inside of the cap, and goes onto the bottle when you tighten the cap onto the bottle! Chubby Gorilla Engineered for purpose, designed for a purpose. "No matter what you plan on using our products for, whether it's E-Juice, E-Liquids, Flavored Sauce, Oils, Essential Oils, Paint, Soap, Cleaners or other liquids, we know that you're putting your trust in us. You need us to keep your liquids safe, keep them from leaking, and make sure that when you unscrew the easy-open lid that the contents come out exactly as you expect."